While the Culture Vulture remains a huge fan of Peg Newton Smith, it is better for this entry to be taken from a tribute written by her longtime friend Bill Worthen. Peg Newton Smith was a pioneer in the field of history and historic preservation. A founder of both the Arkansas Museums Association and the Quapaw Quarter Association, Little Rock’s historic preservation organization, she served as a significant resource for many local history researchers and historians. Born February 10, 1915, Peg Smith came from a family deeply engaged in Arkansas history. Two Arkansas counties – Newton and Hempstead – are named after ancestors. She married George Rose Smith, himself from a prominent Arkansas family, in 1938. Peg Smith became his most vigorous supporter as George Rose Smith was elected and reelected to the State Supreme Court, ultimately offering 38 years of service as Associate Justice. She enjoyed a sixty-two year career as a volunteer at the Historic Arkansas Museum, where she served as Commission Chair from 1978 to 1983. On the museum’s first day, she was dressed in period garb as a volunteer. She was named Chair Emerita of the Commission in 2002. Her commitment to history has also included decades of service on the Mount Holly Cemetery Association Board of Directors, where she was famous with Mary Worthen for tours of the cemetery, often hot items at charity auctions. Because of her instrumental work for the Arkansas Museums Association and the Quapaw Quarter Association, both organizations named significant annual awards after her. She was appointed to the inaugural Review Committee of the State Historic Preservation Program and with architect Edwin Cromwell was the first Arkansan named to the Board of Advisors of the National Trust for Historic Preservation. She was appointed to the Arkansas Bicentennial Commission, was elected president of the Junior League of Little Rock, was a founding member of the Board of the Historic Preservation Alliance of Arkansas, and was active in the Pulaski County Historical Society. She also was an early supporter of the MacArthur Museum of Arkansas Military History. She was honored by many groups, being named 1967 Greater Little Rock Woman of the Year by the Arkansas Democrat, Shield of the Trojan Award winner from the UALR Alumni Association in 1979, Fellow of the Museum of Science and History in 1981, and Candlelight Gala Honoree of the Historic Arkansas Museum in 1994. She became the first recipient of the Lifetime Achievement Award from the Arkansas Museums Association in 2003. Peg Newton Smith died on July 20, 2003. Because of her love of Arkansas history and Arkansas art, the Historic Arkansas Museum commissioned the pARTy for Peg sculpture which dances near the north entrance to the museum. pARTy for Peg is not a portrait of our dear friend—it is a sculpture inspired by her spirit. It had been her brainchild for the museum to have a separate gallery devoted to contemporary Arkansas artists. She also founded the Museum Store, filled with Arkansas crafts. Parker Westbrook WAS Mr. Preservation for Arkansas. But even though he is gone, it does not mean that preservation efforts in Arkansas are dormant. Quite the contrary. Like any good teacher, Parker used his knowledge to inspire others to share his interest in preservation. It is no surprise that the organization he helped found, the Historic Preservation Alliance of Arkansas (now called Preserve Arkansas), names its lifetime achievement award after him. He was not only the founding President of Preserve Arkansas, he was active in it until his final days. It was not his only founding: he was a founder of Pioneer Washington Foundation (the oldest historic preservation organization in the state), the Main Street Arkansas Advisory Board, Historic Arkansas Museum Commission, the Arkansas State Capitol Association, and the Arkansas State Review Board for Historic Preservation. He served on the latter board from 1975 until his death this year, with the exception of five years from 2002 to 2007. In recognition of his work in the field of heritage tourism, he was a 2007 inductee into the Arkansas Department of Parks and Tourism’s Hall of Fame. His work was not limited by the boundaries of his home state. He was an Advisor Emeritus to the National Trust for Historic Preservation and a 2001 recipient of a Preservation Honor Award from the Trust. Rep. Mike Ross declared him a “National Treasure” in the Congressional Record. He also served for two terms on the President’s Advisory Council on Historic Preservation and was named Chairman of the Committee on National Historic Landmarks on the National Park System Advisory Board. A public servant, he worked for several federal officials from Arkansas, most notably Senator J. William Fulbright. He returned to Arkansas to work for Governor David Pryor. But whether he worked in Washington DC; Little Rock; or his beloved hometown of Nashville, he was always interested in ensuring the past came alive. It might be through historic preservation, or it might be recounting a colorful moment of Arkansas history. Either way, Parker was a proponent of living history. He did not want it to be relegated to a musty, dusty book or building. In 2007, he donated papers collected by his late sister Lucille and himself. The Lucille and Parker Westbrook Arkansas and Genealogy Collection is housed in the $20 million Arkansas Studies Institute, a joint project of the Central Arkansas Library System (CALS) and the University of Arkansas at Little Rock. This collection has three parts: the first part focuses on Southwest Arkansas and contains genealogical sources and 3,000 historic photographs; the second highlights his public service and political career including much about the state’s architectural history; the third part consists of family papers, letters and photographs which document the Westbrooks’ deep roots in Arkansas. He was the epitome of the Southern gentleman. Not only did he look the part, he acted it. He was gracious in sharing credit with others; generous with his time, labor and talent; and did his best to keep up the lost art of writing letters and notes. This year marks the 30th anniversary of Main Street Arkansas being created. To mark that, the Clinton School of Public Service is hosting Patrice Frey. She is the first President and CEO of the National Main Street Center. The National Main Street Center, Inc. is an extension of the 33-year-old Main Street program of the National Trust for Historic Preservation, which uses historic preservation as a tool for economic development in downtown and neighborhood commercial districts. More than 2,000 communities have participated in the Main Street program since its inception, leading to more than 235,000 building rehabilitation projects and the creation of nearly 475,000 jobs in those cities and towns. Since 1984, Main Street Arkansas has been a leading advocate for downtown revitalization providing resources, education and professional assistance to spark life into Arkansas’s traditional commercial areas. Since that time, Main Street Arkansas cities have yielded a net gain of 3,907 jobs, 1,151 new businesses and 1,066 business expansions and relocations into downtown. A total of $145,650,659 in investment has financed 3,272 facade renovations, rehabilitations and new construction projects. The Main Street cities have seen 844 public improvement projects valued at $25,193,767 and 545,536 volunteer hours on Main Street matters. Main Street Arkansas is a division of the Arkansas Historic Preservation Program, an agency of the Department of Arkansas Heritage. Patrice Frey is President and CEO of the National Main Street Center, where she oversees the Center’s work, offering technical assistance, research, advocacy, and education and training opportunities for Main Street’s network of approximately 1,100 communities. Based in Chicago, Illinois, the National Main Street Center is a subsidiary of the National Trust for Historic Preservation, and has participated in the renewal of more than 2,000 older commercial districts during its 30-year history. Before joining the National Main Street Center in May 2013, Patrice serviced as the Director of Sustainability at the National Trust for Historic Preservation, where she oversaw the National Trust’s efforts to promote the reuse and greening of older and historic buildings, including research and policy development work through the Seattle-based Preservation Green Lab. Alliance of Arkansas, and was active in the Pulaski County Historical Society. She also was an early supporter of the MacArthur Museum of Arkansas Military History. Cheryl Griffith Nichols is a historian, with an emphasis on historical structures, who has lived and worked in Arkansas since 1978. She was born and raised in Indiana and graduated from Hanover College in 1974. After working for three years as the executive director of the Bartholomew County Historical Society in Columbus, Indiana, she enrolled in George Washington University in Washington DC, majoring in American studies with a concentration in historic preservation. While living in Washington, she worked for the National Register of Historic Places. She moved to Little Rock in 1978, where she married attorney Mark Nichols and completed her Masters degree by writing a thesis on the Pulaski Heights community; the thesis was accepted in 1981. Meanwhile, Nichols became acquainted with Charles Witsell (a prominent Little Rock architect and historic preservation advocate) while he was working with F. Hampton Roy (a Little Rock ophthalmologist, historic preservation advocate and Little Rock City Director) to write a book about the history of Little Rock. Nichols did extensive research for the book, which was published in 1984 by August House as How We Lived: Little Rock as an American City. She has remained active in historic preservation efforts. She has served on the board of the Historic Preservation Alliance of Arkansas and the National Trust for Historic Preservation. She also served on a task force to determine the best use of Curran Hall. Much of her research has been donated to the Arkansas Studies Institute. Agnes McDaniel Loewer was a driving force and the first curator of the Old State House Museum. Born June 26, 1893, in Searcy, she moved to Little Rock with her family in 1900. After turning 18, she began her business career working for the Underwood Typewriter Company, Mayor Charles Taylor, and the Little Rock YWCA. In 1919, at age 26, she married Charles F.W. Loewer. 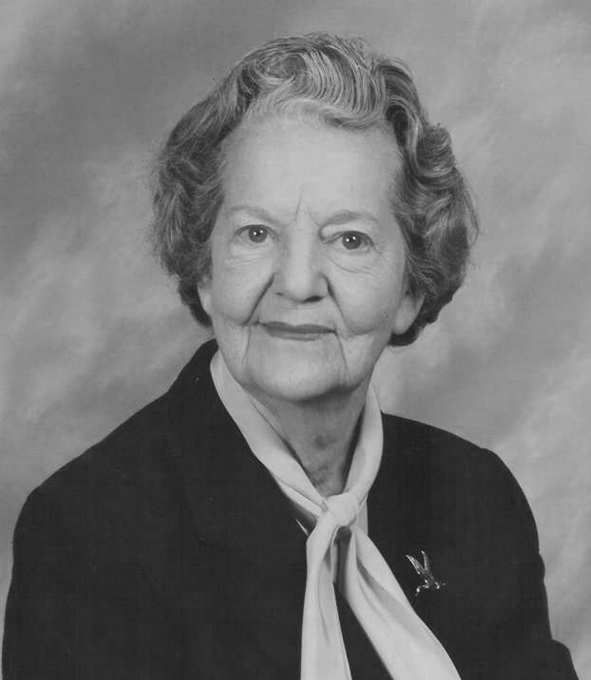 Throughout the years, Agnes McDaniel Loewer was active in numerous civic organizations, devoting her business and organizational skill to a great many causes. She served as secretary, treasurer, and president of various organizations, and filled leadership roles in accomplishing goals and missions. 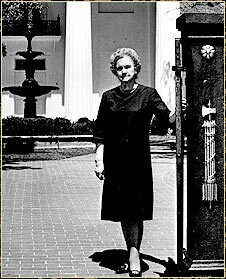 Loewer was a member of the Arkansas Federation of Women’s Clubs, the Business and Professional Women’s City Club, the Women’s Division of the State Fair, the Arkansas Conference of Welfare Legislation, the National Youth Association, the Canteen Corps of the American Red Cross, and the Arkansas Federation of Garden Clubs, among others. Around 1939 Loewer and Louise Loughborough lobbied daily in the halls of the State Capitol for the preservation of the Old State House. Successful in this endeavor, Loewer was appointed a member of the Arkansas Commemorative Commission of 1947, which was formed that year to oversee the restoration of the Old State House and create a future museum of Arkansas history. She served as secretary to the commission, a position that later evolved into director. When the restoration was completed, Loewer was hired as the first curator of the Old State House, beginning July 1951. Utilizing a small paid staff and an army of well-instructed volunteers, she oversaw the museum. Throughout her curatorship, she promoted the Old State House as a historic shrine and tourist attraction, and continued to battle threats to its preservation. Her interest in history extended beyond the Old State House, she was a member of the Quapaw Quarter Association, Arkansas State Historical Society, Pulaski County Historical Society, and Arkansas Landmarks. In March 1972, she retired at age 78, after 21 years as curator. Among the honors she received were a commendation from the Arkansas Legislative Council in 1971 for her public service; a certificate of appreciation from the Arkansas Parks, Recreation and Travel Commission in 1974; and an award from the National Trust for Historic Preservation in 1974, presented by former first lady Lady Bird Johnson. Loewer died on September 18, 1975 and is buried in Roselawn Memorial Park. Happy New Year! Here are a double dozen of the Culture Vulture’s Cultural Milestones from 2012 (in no definitive order but a rough chronilogical order). 1 – The year kicked off with the reopening of the Museum of Discovery. In 2011, the museum was gutted and redone from top to bottom. The result is three new galleries with 85 interactive exhibits as well as a high profile streetfront entrance. A $9.2 million grant from Donald W. Reynolds Foundation provided the primary underwriting for the renovations, which also brought a subtitling of the museum as the Donald W. Reynolds Science Center. 2 – Arkansas Rep Producing Artistic Director Robert M. Hupp received two honors in the first quarter of the year. In February, he was named Arkansas Business Non-Profit Executive of the Year. The next month Hupp received the Diamond Award from the Arkansas Chapter of the Public Relations Society of America. Hupp has been at Arkansas Rep since 1999. He currently serves on the board of the Theatre Communications Group, the national service organization for non-profit theatres. 3 – Rocco Landesman, the Chairman of the National Endowment for the Arts, visited Arkansas in March. While in Little Rock, he participated in a panel discussion with Bob Hupp of the Arkansas Rep, Warwick Sabin of the Oxford American, Joy Pennington of the Arkansas Arts Council and Beth Wiedower of the National Trust for Historic Preservation. 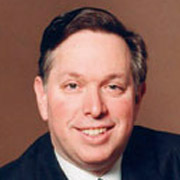 Landesman, a Tony winning Broadway producer, was named the 10th chair of the NEA in 2009. He announced his plans to retire later in the year. 4 – Polk Stanley Wilcox architectural firm was awarded the American Architecture Award for its design of the Heifer International Murphy Keller Education Center in March. It is the third American Architecture Award the firm has won in the last five years. The firm also won for designing the Acxiom Data Center and the Heifer International Headquarters, also in Little Rock. Heifer broke ground in the $7.5 million Keller Education Center in 2007. The building provides a place for visitors, staff, volunteers and the international development community to come together to learn about world hunger and poverty and current solutions to these problems. 5 – Michael Kaiser, president of the John F. Kennedy Center for the Performing Arts, presided over the 2012 Arkansas Arts Summit in April at the Clinton Presidential Center. The programmatic arm of the conference was developed and presented by the John F. Kennedy Center for the Performing Arts and the DeVos Institute of Arts Management at the Kennedy Center, and provided practical training for board members and arts administrators. The event was sponsored by the Arkansas Arts Council. Little Rock designer and business owner Kaki Hockersmith, who serves on the President’s Advisory Committee on the Arts for the the Kennedy Center, was instrumental in organizing the event. 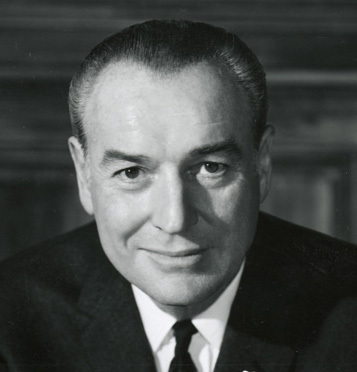 6 – May 1 marked the 100th birthday of former Arkansas Governor Winthrop Rockefeller. In addition to being a political leader, he was a cultural and philanthropic leader. Perhaps his most obvious impact was helping to transform the provincial Little Rock Museum of Fine Arts into the first rate Arkansas Arts Center. He and his family were generous donors of money and art to this effort. Through the effort of the Winthrop Rockefeller Foundation, many cultural institutions have received funds for programming which has reached into every county and every corner of this state. For instance, one of the Arkansas Symphony Orchestra’s string quartets is the Rockefeller Quartet. 7 – Later in May, Oxford American publisher Warwick Sabin won a primary for the Democratic nomination for District 33 of the Arkansas House of Representatives. He was unopposed in the November election and will take office in January 2013. 8 – As May ended, Riverfest turned 35. Among the headliners were Boyz II Men, Lynard Skynard, Staind, Third Eye Blind, Joe Walsh, Snoop Dogg, Rodney Block, and Trout Fishing in America. Since beginning, Riverfest has contributed over $1 million to promote and upgrade parks in Central Arkansas. Approximately 250,000 festival-goers attended the 2012 event, with an estimated economic impact of $33 million on the community. 9 – In June, the Oxford American received a $290,000 ArtPlace Grant for its “South on Main” Project. The space will include a restaurant that will celebrate Southern culinary culture. Accompanying the food will be nightly cultural programming that will feature the best of Southern arts and culture across a variety of formats including literature, music, film, art and drama. The Oxford American will focus on community-oriented programming developed through partnerships with local organizations and institutions. It is slated to open in the first quarter of 2013. 10 – Also in June, Nan Selz, who has led the Museum of Discovery since 2004 and revitalized the once-struggling museum announced her intention to retire at the end of 2012. Since joining the Museum in February 2004, Selz used her leadership to ensure that the Museum has become central Arkansas’s premier math, science and technology center. She has nearly 50 years executive, development and teaching experience having worked in corporate, non-profit and education sectors. In December, Kelley Bass was named to succeed Selz. 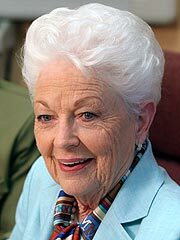 11 – Ann Richards’ Texas a documentary about the colorful former Governor of Texas won the WGA Documentary Screenplay Award at the AFI SilverDocs festival in June. The brainchild of Keith Patterson and Arkansans Jack Lofton, Susan Altrui, Eric Wilson and Dr. Jordan Cooper, the documentary received a screening at the Paley Center in New York City in October. 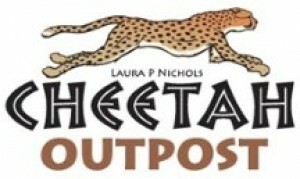 12 – The Laura P. Nichols Cheetah Outpost was officially dedicated at the Little Rock Zoo in July. Mayor Mark Stodola and City Manager Bruce Moore were in attendance for the opening remarks and ribbon cutting ceremony. Zoo Director Mike Blakely introduced special guest, Anne Schmidt-Kuentzel, research geneticist and assistant director for animal health and research at the Cheetah Conservation Fund, a world-wide non profit dedicated to saving the wild cheetah and its habitat. She thanked the zoo for supporting the cheetahs. The cheetahs, Zazi and her daughter Maggie, come from the Smithsonian Conservation Biology Institute in Virginia. 13 – Roger D. Hodge, former editor of Harper’s was named as the new editor of the Oxford American magazine. Mr. Hodge is the author of The Mendacity of Hope a critique of President Obama published by HarperCollins in 2010, and is currently working on another book focusing on life in the borderlands of West Texas. A native of Texas, he studied comparative literature at Sewanee in Tennessee, and began his career as a freelance writer in North Carolina. 14 – Opera in the Rock launched and hosted its first event – “Opera on the Rocks” out at Wildwood Park for the Arts. Opera in the Rock is focused on returning live opera performances to Little Rock on a regular basis. The company has announced plans for a performance in February at the Clinton Presidential Center. 15 – The Central Arkansas Library System’s Butler Center for Arkansas Studies launched Arkansas Sounds, a music festival, in September. The festival featured over twenty events (concerts, lectures and other special programs) over an extended weekend. Focusing on Arkansas music and musicians both past and present, Arkansas Sounds will also work to get musicians and songwriters involved in local schools, create songwriting workshops for kids and adults, and host related performances and events throughout the state. Arkansas Sounds is the second festival sponsored by the Butler Center. They also produce the Arkansas Literary Festival in the spring. 16 – Philip Mann, music director of the Arkansas Symphony Orchestra, was honored by the Arkansas chapter of the International Association of Business Communicators honored Arkansas communicators in October. He received the IABC/Arkansas 2012 Communicator of the Year, honoring Mann for his innovative communication in creating connections between music and audience. Mann is in his third season as director of the symphony, which has seen audience and artistic growth and financial health under his leadership. 17 – Construction began on the new Arcade Building in Little Rock’s River Market district. This three story building will be home to the Little Rock Film Festival offices as well as additional space for the Central Arkansas Library System and the Clinton School of Public Service. One major focus of the building will be the 325-seat theatre auditorium for film and lectures. A restuarant and office space will also be in the building. The Arcade Building was designed by architect Rick Redden not long before he died earlier in 2012. A statue of Redden will be placed in front of the building. 18 – Also in October, two of the co-founders of the Little Rock Film Festival – Craig and Brent Renaud received an Edward R. Murrow Award for their work in Haiti for the New York Times. he Renaud Brothers produced a series of reports for the Times beginning days after the earthquake in Port-au-Prince, and followed the story of survivors for more than a year. 19 – Sericia Cole, who had been serving as interim director of Mosaic Templars Cultural Center, was named the permanent director in November. Before joining the museum, Cole served as director of minority affairs for Gov. Mike Beebe’s office for two years. Prior to that, she was director of public relations at Philander Smith College. She has extensive experience in public relations and non-profit work. Since joining the museum in March, she has introduced several new programs and secured a major grant from the Institute of Museum and Library Services (IMLS) in Washington, D.C.
20 – In November, Bill Worthen celebrated 40 years as Director of Historic Arkansas Museum. When he started at the institution, it was known as the Arkansas Territorial Restoration and took up roughly half a city block. Under his leadership, the museum has expanded into permanent galleries as well as increased its historic structures and demostrations. HAM now takes up one whole city block and two partial blocks. He is the longest serving musem director in Little Rock history. 21 – Also in November, Cathie Matthews announced her upcoming retirement from the Department of Arkansas Heritage. She has led that state agency for fifteen years and is the longest-serving director. A Little Rock native (and daughter of former LR Mayor Pratt C. Remmel), she has led the department through the opening of two new museums, the renovation of two existing museums and the creation of new programs in the other agencies. Matthews oversees the Arkansas Arts Council, Arkansas Historic Preservation Program, Arkansas Natural Heritage Commission, Delta Cultural Center, Historic Arkansas Museum, Mosaic Templars Cultural Center, and Old State House Museum. 22 – Late in November, Arkansan Cody Belew was eliminated from the TV show “The Voice.” Born and raised on back country roads, Cody Belew grew up singing in rodeo arenas and gospel church houses. Pulling influence from his southern roots, Cody’s voice is a mix of southern rock, R&B, gospel, soul, and a little mountain twang. He’s been on enough stages, and in front of enough county fair crowds to understand what it takes to entertain an audience. Before moving to Nashville in 2011, he was a fixture on the Little Rock music scene; he still comes back to perform from time to time. His most recent appearance was at Robinson Center Music Hall last weekend. 23 – In December, Little Rock Mayor Mark Stodola together with the Downtown Little Rock Partnership hosted a meeting to discuss plans for “The Creative Corridor – A Main Stree Revitalization.” The plan was developed by the University of Arkansas Community Design Center working with Marlon Blackwell Architect for Little Rock. It was a fulfillment of a National Endowment for the Arts Our Town grant. 24 – Plans for upgrading and renovating Robinson Center Music Hall are moving forward. Following presentations by four firms in November, the Advertising and Promotion Commission narrowed it down to Ennead Architects of New York, partnered with Polk Stanley Wilcox of Little Rock and Witsell Evans Rasco of Little Rock, partnered with LMN of Seattle. The concept, which was first unveiled in June, could cost around $65 million. Presentations by the final two firms will be made in January. Once completed, the renovated Robinson Center will benefit numerous organizations including the Arkansas Symphony Orchestra, Ballet Arkansas, Little Rock Convention and Visitors Bureau and Celebrity Attractions. In related performance space news, First Security Bank made a contribution toward the renovation and reconstruction of the amphitheatre in Riverfront Park.